This beer is very special. 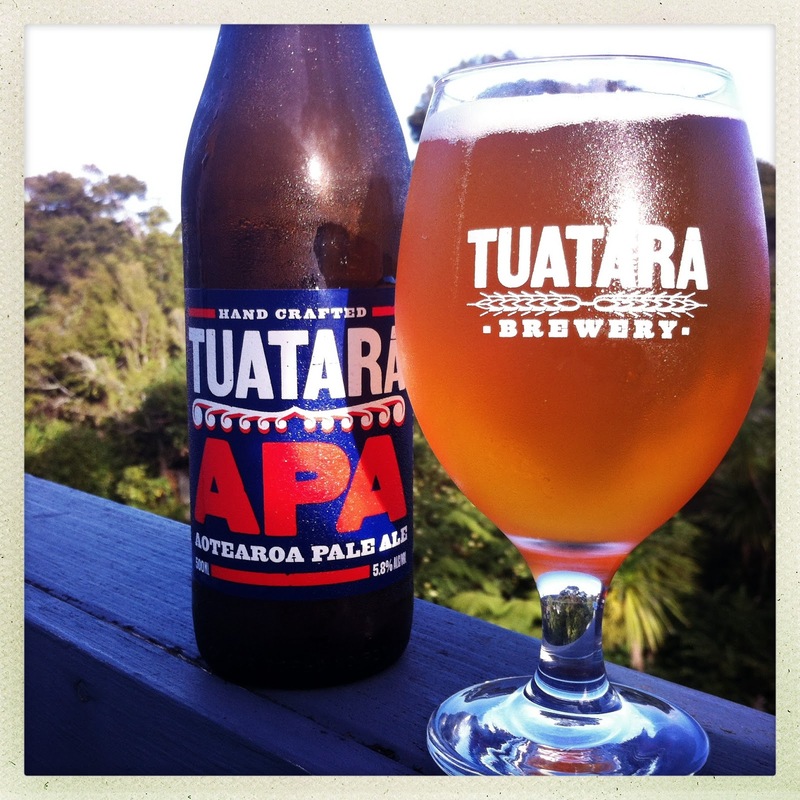 It represents the generous spirit of New Zealand brewers. 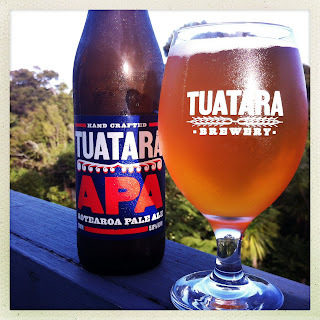 Recently I smashed my most favourite Tuatara beer glass. It had been a christmas present from my husband along with some Tuatara beer (he knows my favourites) so naturally I was pretty gutted. Being addicted to the internet I immediately went online to share my grief with the world and with Tuatara. That same evening they asked for my address and before I knew it I had a replacement glass and two bottles of beer in my hands! Its the kind of thing you usually only read about happening to someone else. So a big thank you to Tuatara, thanks for going to extraordinary lengths to make me happy. Whats really special is they weren't obliged to do this, the glass didn't break due to some manufacturing fault, or spontaneous explode in my hand ruining my classical oboe career but broke due to my own inherent clumsiness. When you open this beer you are bathed in a hoppy breath straight outta the pacific. New Zealand hops have their own unique fragrance its fresh, green, with a bit of zing. Tuatara have used Pacific Jade, Cascade (very different to US cascade if you get a chance to compare them side by side), Sauvin and Wai-iti. I'm not familiar with Wai-iti but overall the blend is really good, delicious aroma. Sweet tropical fruit notes, grapefruit and pine are the main contenders. The sauvin is adding some more complex fruit notes that I can't quite put my finger on. Initial pour was golden/orange with a lovely little persistent white head. Aromas blend well with the taste, there is plenty of hop bitterness to complement the aroma. Its a soft bitterness that only just wanders into a piney note on the finish. Plenty of sweet malt pull in all the aromas and bitterness into a gorgeous mouthful. Its a great canvas for showing off the New Zealand hops and a beer I'll return to again.